After years in receivership, the Model City Mall now has a new owner in Winchester Real Estate Investment Trust out of Vaughan, ON. The company is part of Virtus Financial Group of Companies Inc. The deal was finalized early this week. Part of making the mall more profitable, said Gray, will involve significant changes. “We’re looking to fix it up, fill it up and compress the tenancies together and compress the vacancies to make the front of the mall fuller,” said Gray. “The back portion of the mall we’re looking to demolish. Obviously we’re going to fill up what we can but we feel the mall would be more efficient if it was a little bit smaller. “We’re going to do some relocations and hopefully bring some new tenants to the property and revitalize the property. The former ownership was under a receiver and the receiver’s hands are to a certain extent tied with regards to how much money they can spend. You may a “AAA” tenant come in and say ‘we want 6,000 square feet but you guys have to spend $300,000 to put us in. While that deal may make a lot of sense on paper and to everybody involved, the trustee is not likely to do the deal. That’s not what they do. They minimize losses for the lien holders. The company currently owns malls in Kirkland Lake, Espanola, Thunder Bay and Espanola, to name a few. “In Kirkland Lake we put in a 23,000 square-foot Giant Tiger. In Espanola, when we bought the mall it was approximately 50 per cent vacant and that was brought down to two per cent within 23 months through the investment of a couple million dollars. 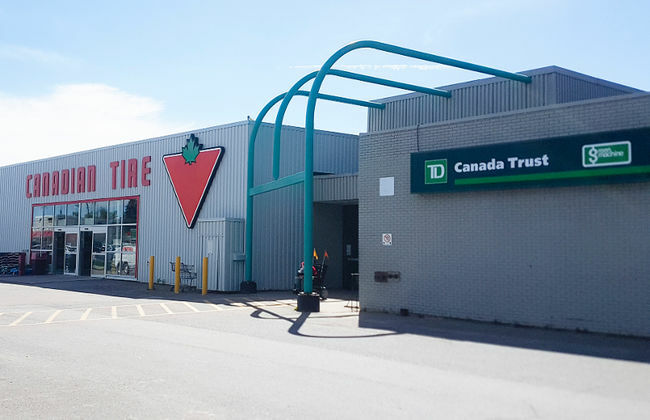 In Parry Sound, the mall was purchased at 50 per cent vacancy and we brought it up to about two per cent, although that’s since changed due to various changes in retail conditions in that city,” Gray explained. “We recognize the challenges of small towns. Espanola has 5,000 on the (population) sign, Parry Sound has 5,500… we’re used to dealing in small-town Ontario. Winchester has shown a key interest in Kapuskasing for some time now. Gray said while changes are coming, Model Towners shouldn’t expect to see anything overnight or even six months from now.